WhatsApp Free Voice Calling Now Available To Everyone! WhatsApp Free Voice Calling Now Available To Everyone! Will It Impact Normal Calls? After months of buzz, the WhatsApp Free Voice Calling feature is now available to everyone. Just update your WhatsApp app, and you will get a new home interface that will show up an extra tab called “calls”. So, going forward, any user who has WhatsApp installed on their Android Smartphone will be able to make voice calls to other WhatsApp users. 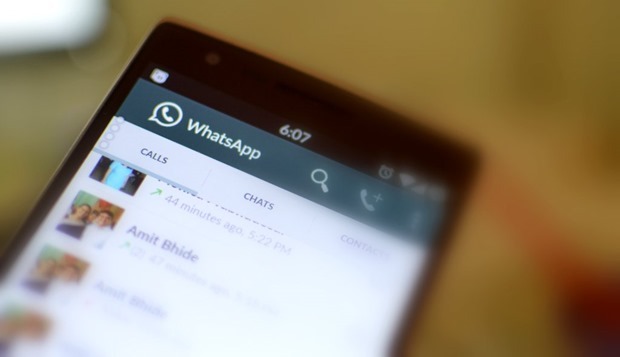 While, many other apps have been offering this for a while, it becoming available on WhatsApp is going to be huge. WhatsApp is the undisputed king when it comes to numbers. Essentially, over 700 million users have now suddenly got access to voice calling through internet on the app that they user frequently through the day. We tried making calls on Wifi, 3G and 2G connectivity, and we found that call quality is not yet comparable to ordinary voice calls. Call on WiFi – On WiFi, the call quality was undoubtedly quite good. There were no drops and voice was easily clearly heard. However, we did find a little bit of delay and slight echo in the background. However, it was not bad, and one can easily make decent voice conversations. Call on 3G – WhatsApp call on 3G was very similar to what we had on WiFi, but there was slightly more delay in sending and transmitting of voice. We also found that voice did tend to break in middle, and odd words were completely eaten up. But still, we can say the call was in acceptable range. Call on 2G – Unfortunately, on lower speeds of 2G, we did face quite a bit of problem. We have previously tried many apps that offer voice calls on 2G, and like others, we did face problems with WhatsApp as well. The call went blank couple of times in our 5 minute conversation, and voice was quite muddy. While the echo was not too much, one had to stretch their ears to hear voice on the other side. We also got call drop once. Overall, on 2G we thought that the call was not up to the mark, and you would rather spend couple of rupees on normal call rather than having conversation that will stress you out. So, if you are on a WiFi or 3G connection, you can have decent calls, but avoid making calls on 2G. WhatsApp Voice calling is definitely going to give a lot of heartburn to Telecom Operators who are already reeling under heavy Spectrum charges and wafer thin margins on their businesses. A lot will depend on TRAI’s decision in regards to OTT operators for which they have released a public questionnaire. In any case, the calls on WhatsApp are going to improve over a period of time, and it is definitely going to impact Operators Voice revenues. While they may be able to make up some amount through Data offerings, it is still a no-win situation for them. Their revenues are going to undoubtedly drop. Do let us know your comments, and try out WhatsApp calling and let us know how you find the quality of calls. "WhatsApp Free Voice Calling Now Available To Everyone! Will It Impact Normal Calls? ", 5 out of 5 based on 1 ratings. can any 3G user make video call to 2G user..? if one makes that video call what will happen..? Had the option for last 1 month,after having the option of calling only i realized how busy we are. As many can’t bother to dial or talk. I think telecom don’t have anything to worry. i have been using Whatsapp call for the last five days. The quality is good in WIFI and 3G. But poor in 2G. Of course, the quality will surely improve soon. It is still in testing period. Whatever, whatsapp will be used by all and surely it will affect the telecom revenues, particularly Vodapone and Airtel margin will be affected. Ultimately, these telecom companies will increase their tariffs, that also will not help, as more and more people will start using calls through internet.